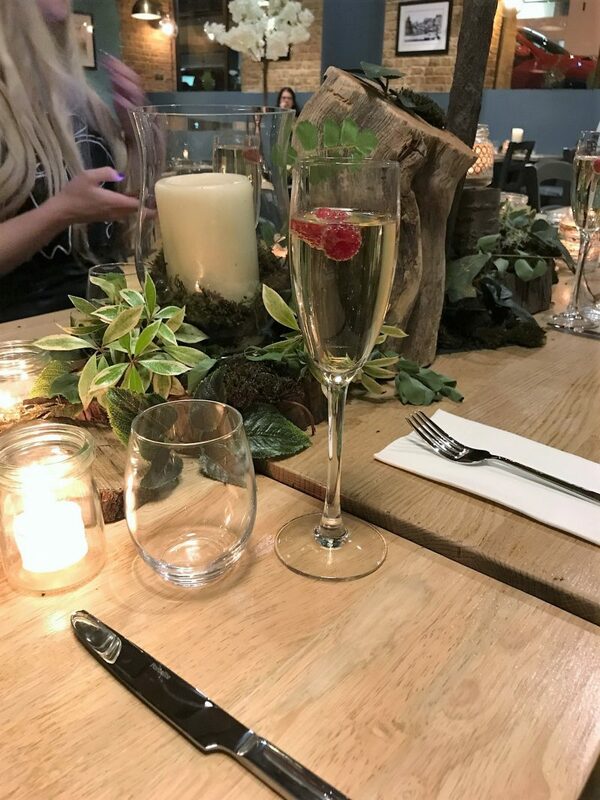 Last week, I headed along to the press launch of new Manchester vegan restaurant The Allotment, and what a night it was! OK so first of all I think it’s fair to disclaim that I’m not even a vegetarian, let alone full blown vegan. However, I am aware that an absolute tonne of my readers are vegan, as are a lot of my friends and family. I dine and drink around Manchester lots with my job, so I always find it super important to share the latest opening, regardless of whether I am vegan, vegetarian, gluten-free, or whatnot. 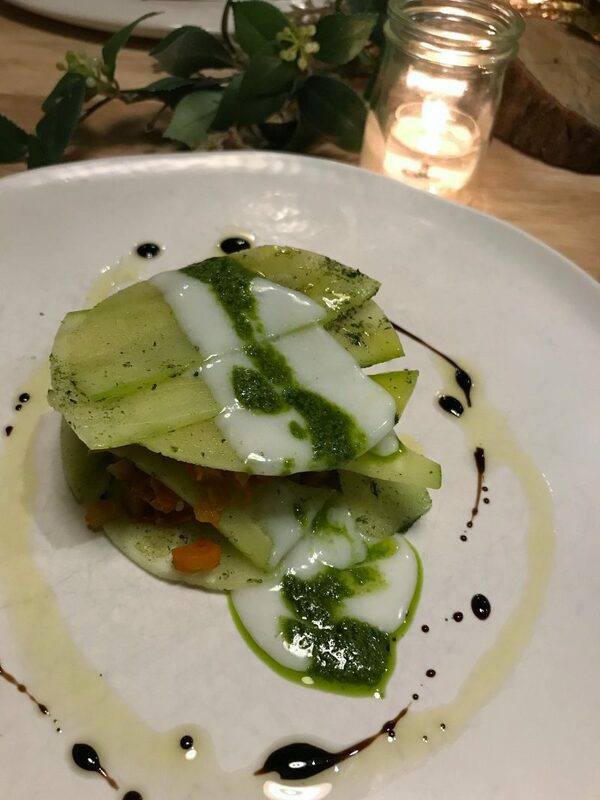 So, with this brand new opening of a fine dining vegan restaurant, situated on Lloyd Street, the question it: how did I find it? 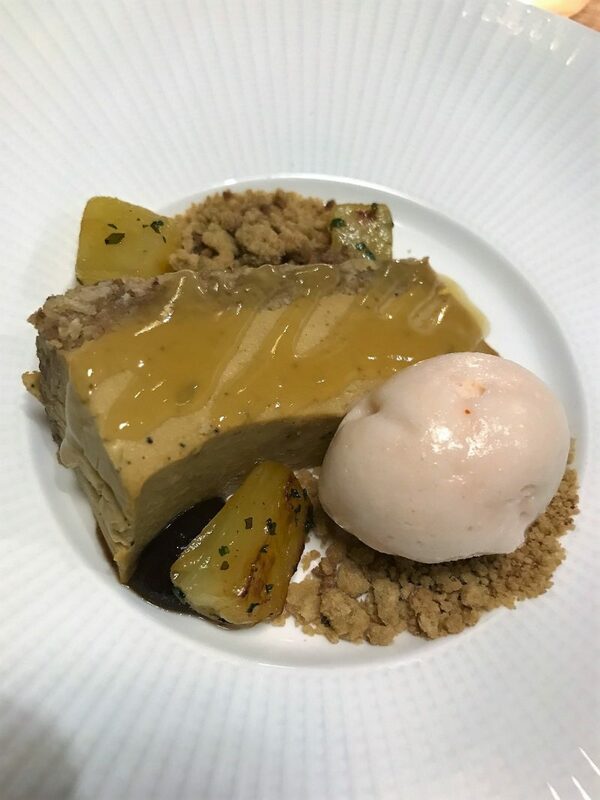 Before I share the food, The Allotment is a vegan and gluten-free restaurant, with the aim to offer you food you’ve never really tasted before. 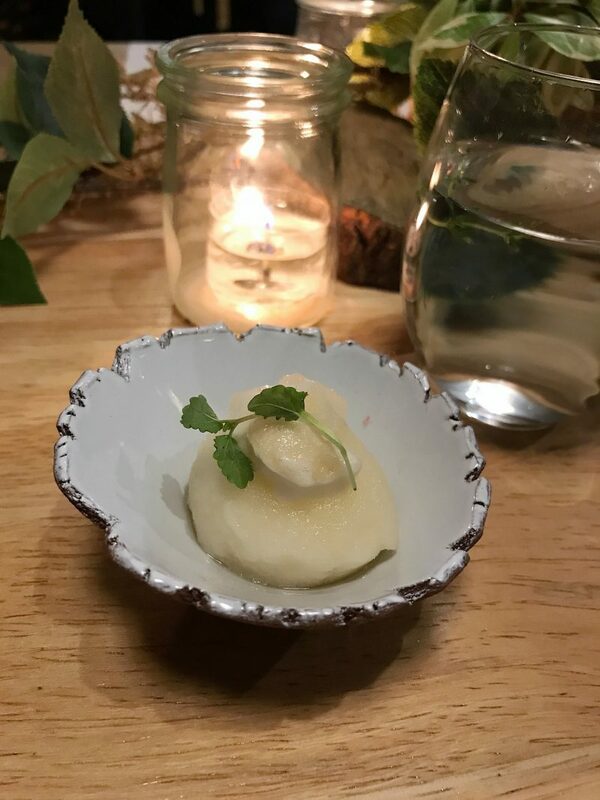 Fine dining cross with unique, creative dishes is how I would sum it up from my visit. 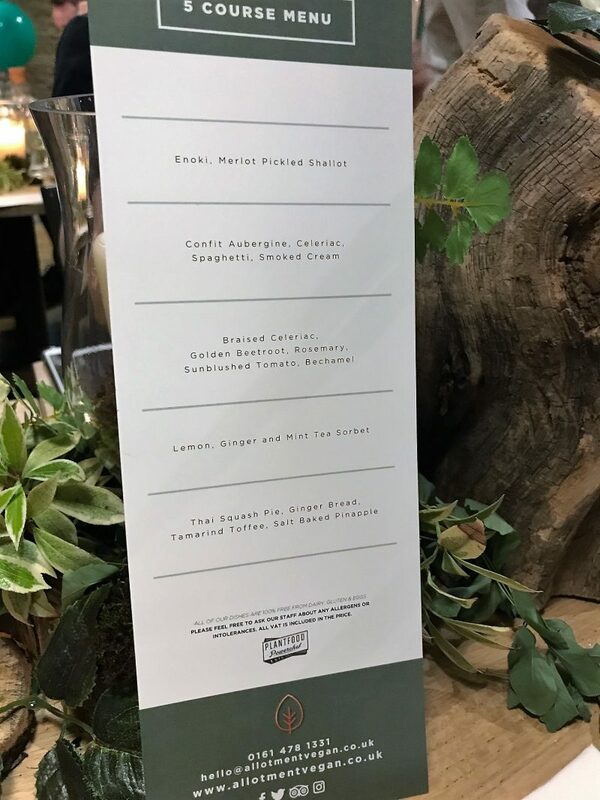 They use only fresh, engaging and locally sourced ingredients, using the best of the seasons harvest and local, sustainable growers where possible. 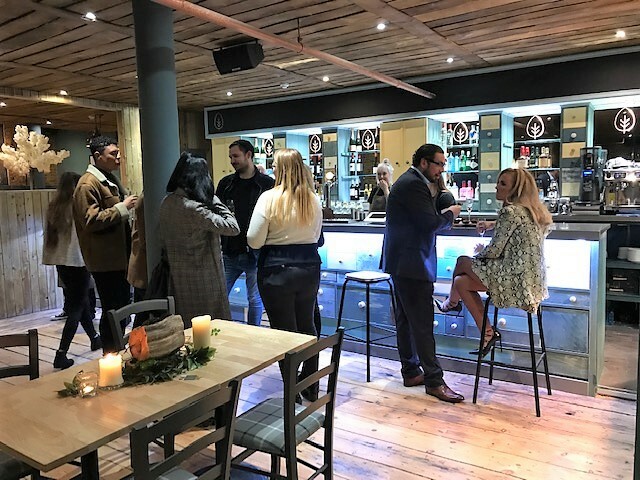 It brings an entirely new plant-based experience to Manchester, and I have a feeling it’s going to be a huge success. Most people are aware of V-Rev in the Northern Quarter, a vegan take on junk food (think Almost Famous but in vegan form). But this one is the step up to fine dining and unique cuisine the city has been awaiting. So let’s begin. Course number one was Enoki and Merlot Pickled Shallot. 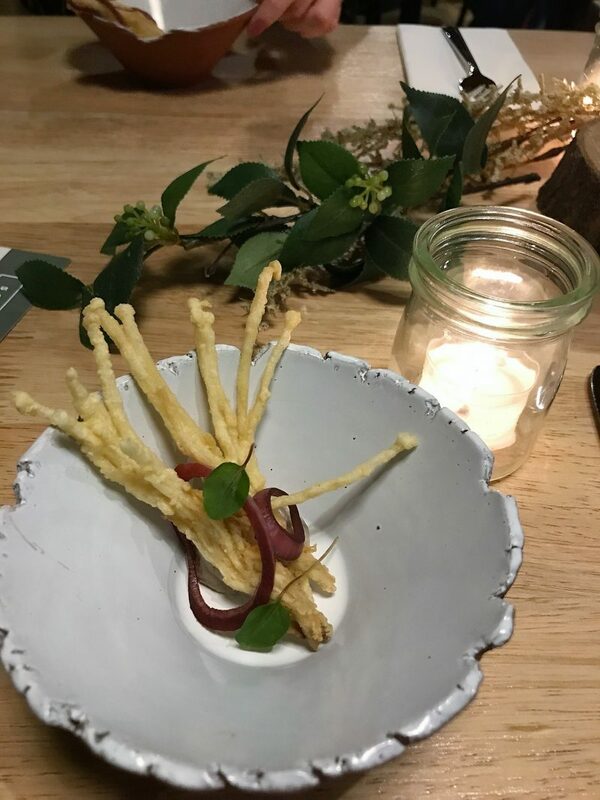 A crispy dish with a rich, almost mushroom truffle tasting whipped delight at the bottom of the dish. Full of flavour and the perfect appetiser. 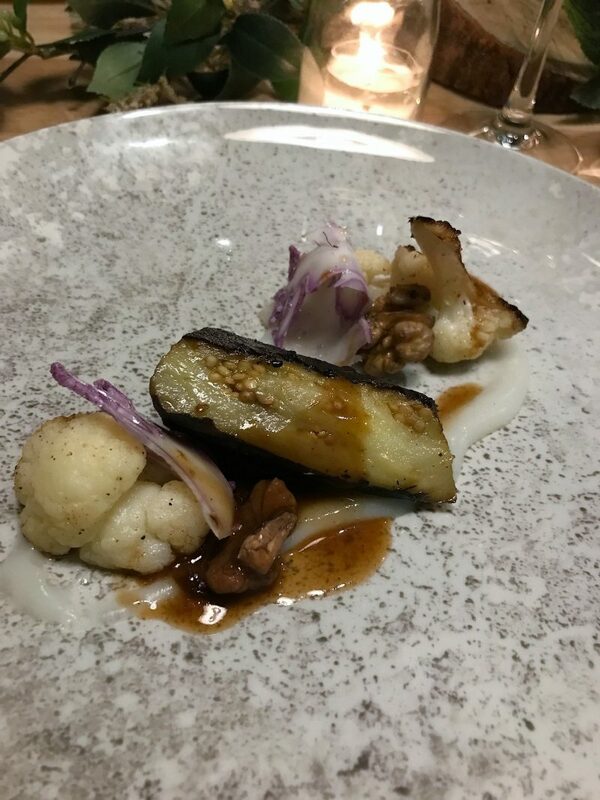 This was followed by course number 2: a confit of aubergine with celeriac, cauliflower and a variety of vegetables. I love aubergine, and this was soft and flavoursome, which a creamy sauce and delicious vegetables. Now the third course had to be my favourite. 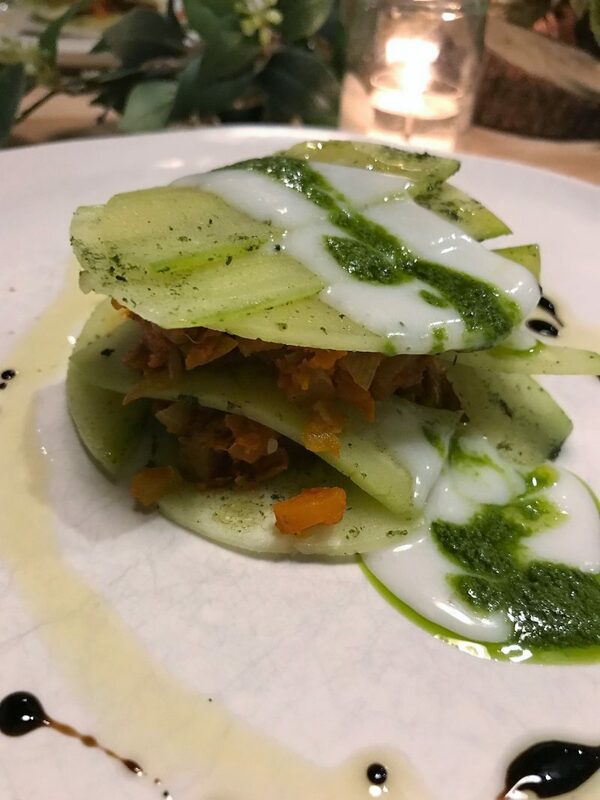 It was a vegan take on lasagne, and to me, tasted like a healthier, less fatty version of the pasta heavy, mince filled type I usually scoff down. This was created with braised celeriac, beetroot, sunblushed tomatoes, rosemary and bechamel. It was one of the tastiest and unusual dishes I have possibly ever had, and just felt really light. Light, but packed with flavour. As a little palette cleanser, dish number 4 was a sorbet, but my gosh it was delicious. 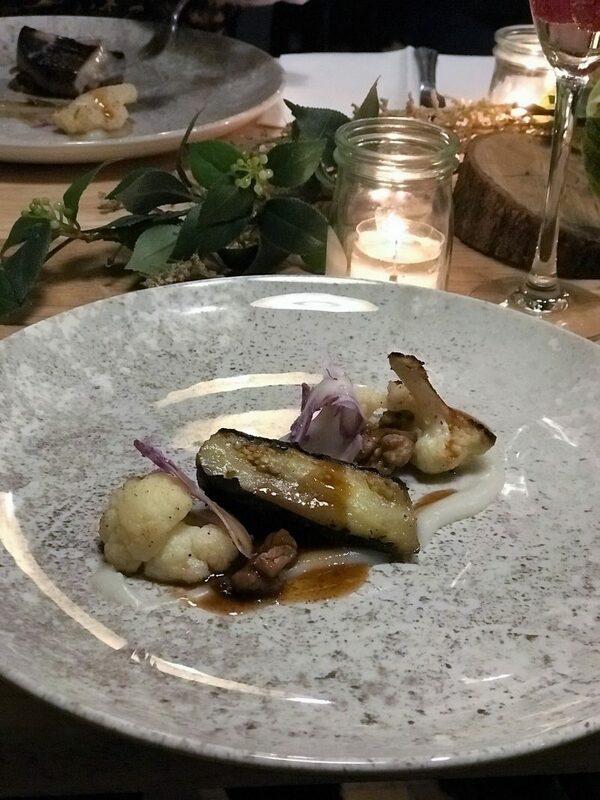 All around our table, we agreed this dish was absolutely incredible and had the most diverse, creative taste which just worked. The sorbet was a cooling concoction of ginger, lemon and mint tea. Now I don’t usually like lemon flavoured ice creams, drinks, sorbets or desserts, but this was so refreshing and zingy, with the mint and ginger taking the main notes. But to finish…. now all I can say is WOW. This dessert was certainly an acquired taste, but an acquired taste made perfectly for me. There were a few mixed reviews around my table but I hand on heart devoured this in one go. 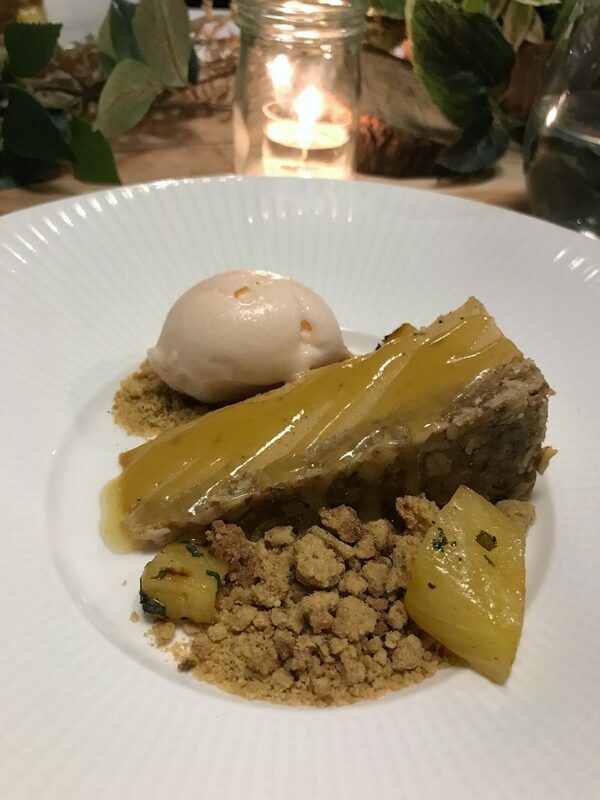 It’s the Thai Squash Pie, with gingerbread, toffee and salt baked pineapple. The sweet crumb that surrounded it and creamy textures went beautifully with the less sweet squash pie filling. I can’t even describe what the actual taste was, but either way, it blew my mind. So soft and gooey, yet crunchy and sweet. 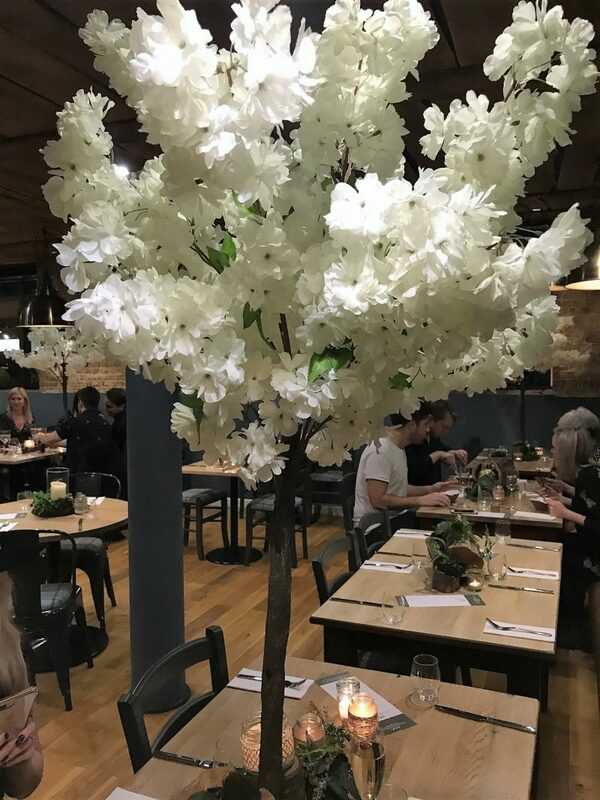 The restaurant itself is brand new and has been put together incredibly well. 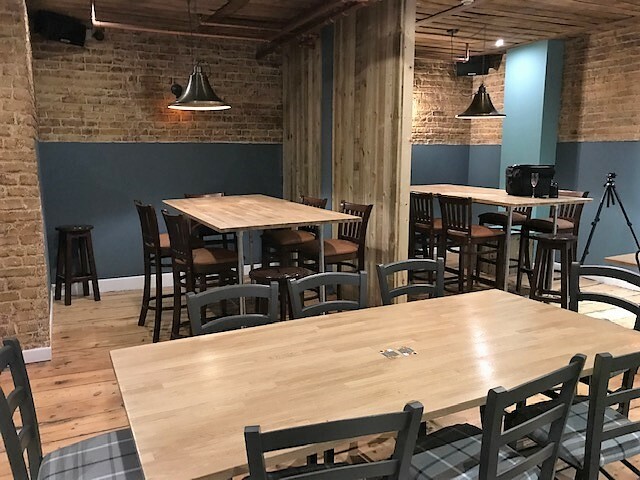 Lots of dark colours and wood, creating a unique, cosy theme, bringing a difference to Manchester’s existing, slightly over-saturated dining scene. Thank you for the invite – I truly enjoyed it! Looks very tasty, I’ll be sure to check this out.